Rebecca Piekkari is Professor of International Business at the Aalto University School of Business, Finland. 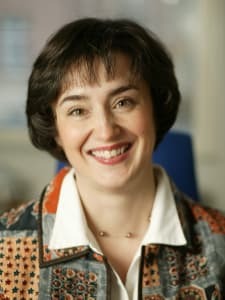 She received her PhD from the Helsinki School of Economics and has held prior positions at Copenhagen Business School, Sheffield University and University of Bath. Rebecca has served as Vice Dean for Research and International Relations and is currently the Head of the International Business group at Aalto University School of Business. Her research focuses on control, coordination, communication and organizational design issues in multinational corporations, with a special focus on the challenges posed by multiple languages. She has also worked extensively on the use of qualitative methods, particularly the case study, in international business research (with Catherine Welch). In 2014, Rebecca co-edited a special issue of the Journal of International Business Studies on the multifaceted role of language in international business (with Mary Yoko Brannen and Susanne Tietze). Rebecca is an active member of the Academy of International Business (AIB). She has served as member and chair on the selection committee of the Peter Buckley and Mark Casson Doctoral Award and as faculty member in various paper development workshops. She has also contributed to the AIB UKI chapter conference by offering workshops on qualitative research methods for PhD students and junior faculty and acting as a panelist in the doctoral colloquium. She finds mentoring, supervising and training doctoral students and junior faculty particularly important and rewarding. Rebecca has published over forty refereed journal articles, almost thirty book chapters as well as four books and has been a co-editor on five special issues focused on language in international business, qualitative research methods, international strategy and cross-cultural management. Her work has appeared in journals such as the Journal of International Business Studies, Journal of Management Studies, and Academy of Management Review as well as in several handbooks in the area. She also serves on the editorial boards for such journals as Journal of International Business Studies, Global Strategy Journal, Organizational Research Methods, Journal of World Business, Organization Studies and Critical Perspectives on International Business. She is an elected Fellow of the European International Business Academy (EIBA).